Heroes, Heroines, and History: The Almost State of Franklin plus GIVEAWAY! The Almost State of Franklin plus GIVEAWAY! We've all grown up hearing about the first 13 states of America, but we hear little about who and when the 14th state was added. When one thinks about it, that had to be a pretty big deal since the United States was growing. So which state was the 14th? It was state of Vermont. But had a territory west of the Appalachians in North Carolina had their way the state of Franklin would have been the 14th state. Under the Proclamation of 1763 the Appalachian Mountains were the farthest any subject could settle. But these hardy men and women defied the kings order and settled there anyway. The year was 1784, America had won her independence from England, and now North Carolina was responsible for these frontier people who were a long way from the main population and right in Indian country. North Carolina didn't want to spend money and resources sending militia to defend these people from attacks anymore than King George the III did. So how do you get rid of counties? You give them to the Congress to help pay off the war debt. North Carolina voted and the vote passed to hand over this mountain territory. But then a new election was held and North Carolina changed their mind, taking back the territory. While all this is going on the settlers of the mountain territory began to worry for their safety as they are encroaching on Cherokee, Chickamauga, and Chickasaw tribes. Would a state who'd just given them to Congress and then reclaimed them protect them from the threat of Indians? Anxious that all the confusion left them vulnerable to an Indian attack, fifty of the leaders, led by John Sevier in this mountain territory met on August 23, 1784 in Jonesborough to determine their fate. They drew up a document seceding from North Carolina. They quickly set up a government with a court system and militia. In December they met once again in Jonesborough this time to draw up a constitution, elect a governor (Sevier), and name their new state which eventually would be eight counties. They named the state Frankland originally but it was quickly changed to Franklin after Benjamin Franklin. Now the next was to take the document Washington and convince the Continental Congress they should be the 14th state. Even though just months earlier North Carolina had given away Franklin, they were now angry that these people wanted to secede. They wanted to go up with militia and punish the rebellious people. 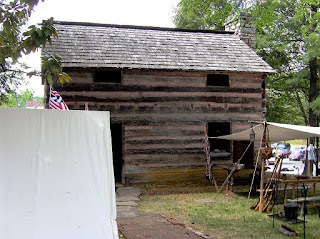 But some of the militia had fought at the Battle of Kings Mountain with Sevier and some of the other settlers and they remembered how well they fought. They warned them that they would need a much larger militia to fight the people of Franklin. Instead North Carolina typed up thousands of manifestos and urged the people of Franklin to come back to the security of North Carolina. Franklin ignored the documents and in the spring of 1785 they sent William Cocke to Congress, asking for statehood. They needed a a majority of nine votes to win their statehood, but in the end they came up two votes short. Believing that Congress would eventually give them their statehood, Franklin continued on as their own entity. The chose Greenville as their their capital. They authorized money but it never took hold and they used animal pelts instead. The new hopeful-state was destined to fail. They had two big things working against them. First the immigrants moving onto land west of them that the Cherokee Indians still claimed caused the Indians to become more volatile. And then there were some who had remained loyal to North Carolina. When John Tipton, a loyal North Carolinian, caught wind of the possibility of Franklin making an alliance with Spain, North Carolina sent troops and camped out on Tipton's land. A brief skirmish ended up with two people dead. Neither side wanted bloodshed. 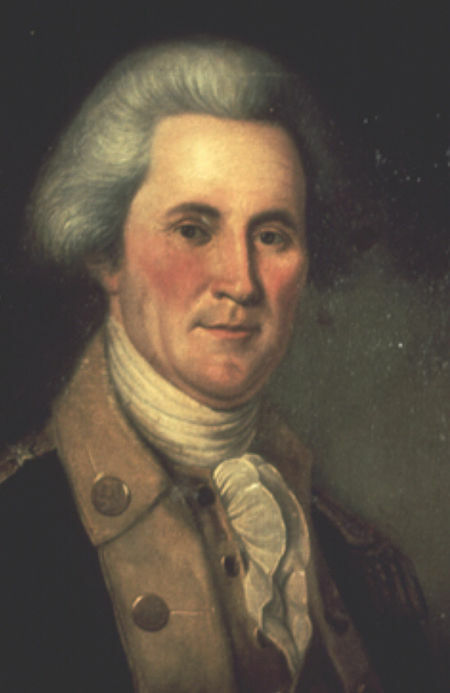 John Sevier turned himself in to North Carolina. He was restored to his position as General in the militia. North Carolina ended up honoring all the court transactions from Franklin. It wasn't too long afterwards that North Carolina once again gave the territory to the federal government. When Congress started splitting up the southwest territory Franklin finally found it's home and became part of the 16th state called Tennessee. The Charleston earthquake has left destruction like nothing Doctor Andrew Warwick has ever seen. On a desperate mission to find the lady who owns his heart, he frantically searches through the rubble, where he finds her injured and lifeless. After she regains consciousness, the doctor’s hopes are quickly dashed as he realizes she doesn’t remember him. Things only get worse when he discovers she believes she’s still engaged to the abusive scoundrel, Lloyd Pratt. Now Drew is on a race with the wedding clock to either help her remember or win her heart again before she marries the wrong man. Waking in a makeshift hospital, Olivia Macqueen finds herself recovering from a head injury. With amnesia stealing a year of her memories, she has trouble discerning between lies and truth. When her memories start returning in bits and pieces, she must keep up the charade of amnesia until she can find out the truth behind the embezzlement of her family’s business while evading the danger lurking around her. I just love reading about Franklin. So fascinating to me. Hey Amy, It was to me too! There are a couple other 'almost' states that I didn't know about. Wow interesting! I know a few Tennesseans? (From TN) and will be sharing this with them! No need to enter me. Have both your books! Thank you! Thank you for coming by, Annie! Your books and prizes go in the mail today! Woo Hoo!!! Enjoy! I've always wanted to go to North Carolina. It sounds so pretty. Thanks for the giveaway!!! Hey Stella, I love Tennessee. It is so gorgeous and such beautiful horse country. The farms are to die for! Thanks for coming by. I have lived in TN and never knew this! Thanks! Oh Amanda! I bet you loved living in Tennessee. Are you still there? When Joe and I drive through there we are in awe of the beautiful horse farms. This is a very interesting part of Tennessee's history. Thank you for sharing. There is so much history in the US that I am forever running across things that I'm saying, "I didn't know that!" LOL I love history! Wish I'd have loved it more in High School. I have shared on Twitter. I had read this a long time ago, but had forgotten. Thank you, very interesting. Thanks, Lucy. I appreciate you coming by. Very interesting read! I didn't know all that information. I would love to win your book. Thanks for the opportunity. Hey Brenda! Good luck in the giveaway. I love learning new history. So much fun. i cannot believe I have never heard this story! Thank you for furthering my education in an entertaining way! You're welcome. I hadn't either when I ran across it in my research. Fascinating history of North Carolina! I've read other stories similar to this about other States. I wished I would have paid more attention in school, lol! 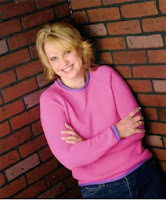 Thanks for the great information and chance to win a copy of your book Debbie! I'd choose "Scattered Memories" :-) Blessings! I've also shared on both Facebook & Twitter. I meant "Shattered Memories", I blame auto-correct...Haha! This was an interesting article. I watched a TV show called "How the states got their shape" and I believe they talked about Franklin in that show. Thanks for the information and the giveaway! Awesome, Loraine! Thanks for sharing and for coming by. Good luck in the giveaway. Thank you for coming by, Rachel! I love these golden nuggets of history too. Good luck in the giveaway! I enjoyed learning about John Sevier. 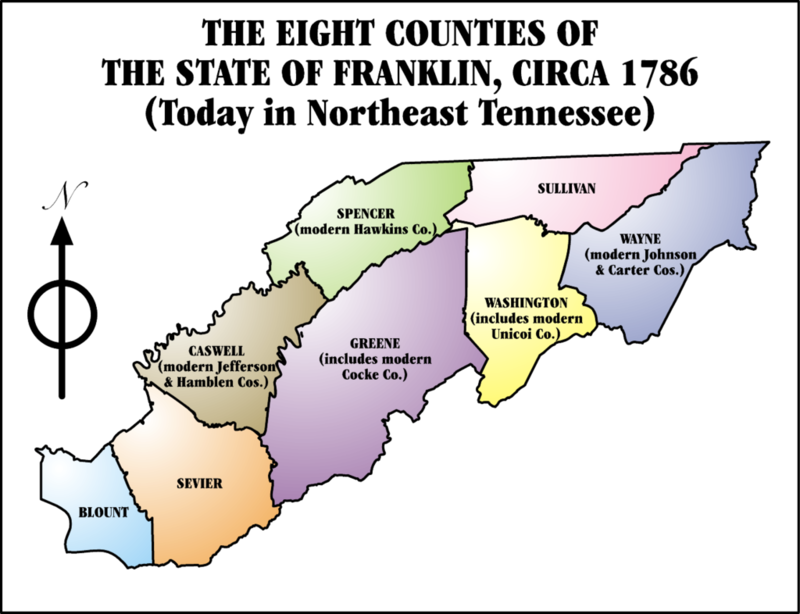 It explains why so many places and things have Sevier in their names in Tennessee. Would love to win your book! Thank you, Pam! Good luck! Thanks for the history lesson, very interesting. 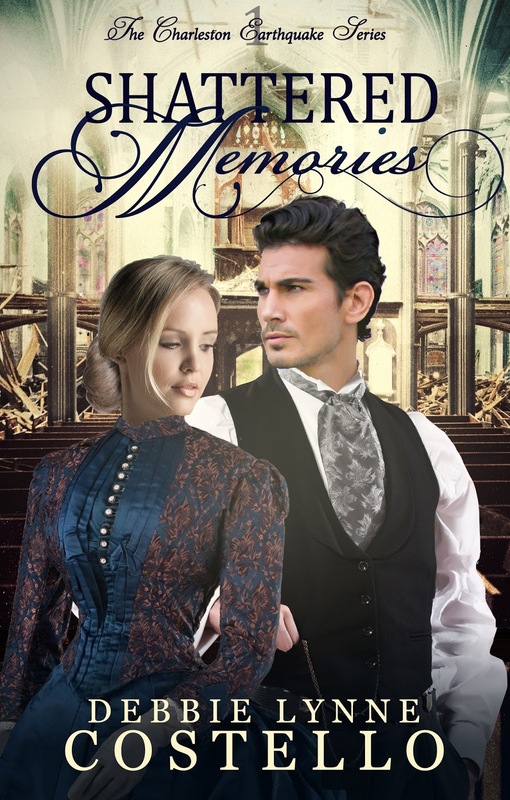 Enter me to win Shattered Memories. I really want a signed copy! Hugs! Chappy!! I sure will enter you! Thanks a lot!!! Love to do giveaways! Thank you for coming by, Debra. I love hearing about early history. Thank you for sharing this information. I live right in the area you are featuring. Really?? You could probably tell us more, Kay! It was so interesting! No, I don't think so. You covered it quite nicely! Thank you, Sonja. I know what you mean...re-learn! Sometimes I read things and in the back of my mind is a little niggling that says I should know this! LOL Good luck in the giveaway. It is! And there are a few more too that were wanna-be-states! Good luck! What an exciting book! I would love to read and review it. Thanks for your generosity. Hello, Connie. Thank you!! I hope you do get a chance to read it and I would Love a review! Good luck in the giveaway!! Thank you for your interesting post and wonderful giveaway! You're welcome, Melanie. I loved this information and had to share. :o) Good luck in the giveaway! Awesome Jamie! Hope you enjoy Shattered Memories. Looks & sounds Awesome! Can't wait to read! Thanks for the giveaway chance!! Have a Blessed day! Hope you get a chance to read SHATTERED MEMORIES. Thank you for stopping by. Good luck in the giveaway. Interesting facts about Franklin! Your book SHATTERED MEMORIES is one I want to read. Thank you, Phyllis! And thank you for coming by! Good luck! Congratulations, Phyllis! You won SHATTERED MEMORIES. I'll be contacting you shortly.